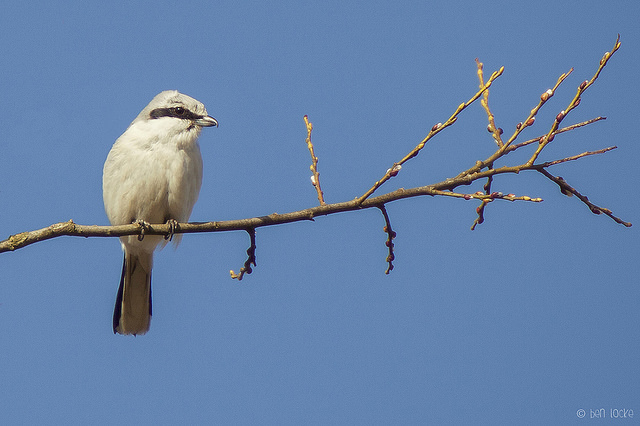 Back in November I posted a distant shot of a Great Grey Shrike. It was one of two that have spent the winter in the Forest of Dean. I've seen both on numerous occasions since then, and a couple of weeks ago I finally got some better photos of one of them. It's the same bird that I photographed back in Novemeber, at Crabtree Hill. 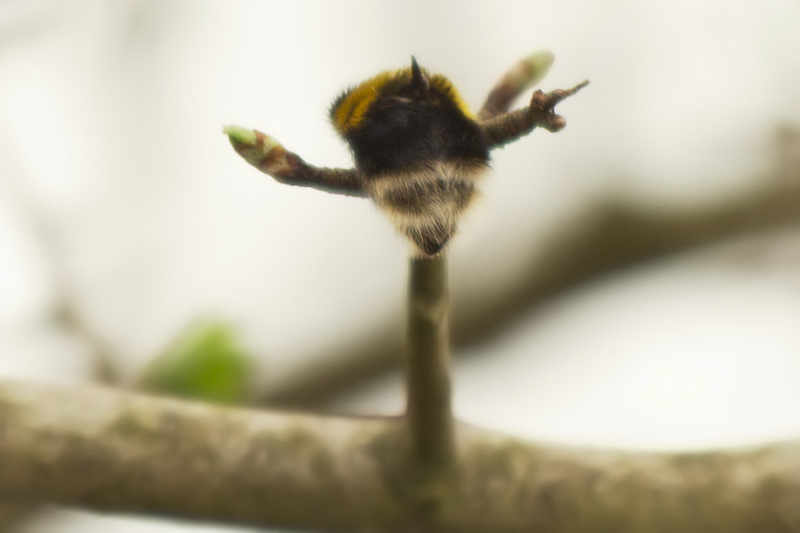 I also noticed this small snack that it had skewered on to a hawthorn bush to eat later. No doubt both birds will be leaving for their breeding grounds in Scandinavia shortly.